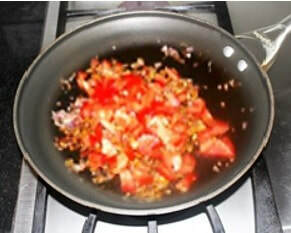 Turaii Masala is a delicious unique side dish. 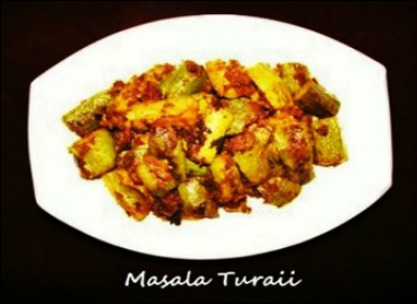 If you avoid eating Turai because you think Turai is a bland and boring dish, you will love Turai masala. 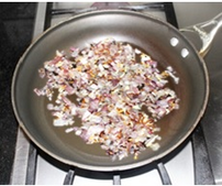 Turai cooked with onion and spices is quite tasty and you will like to eat it anytime. 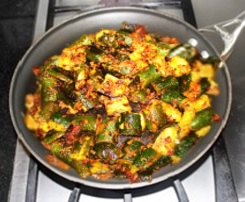 This is a spicy amazingly delicious dish and perfect accompanimentfor parathas or chapattis. 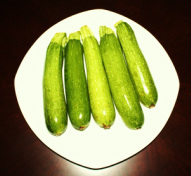 Turai is an extremely popular vegetable and it is also known as Ridge gourd and similar to Zucchini. 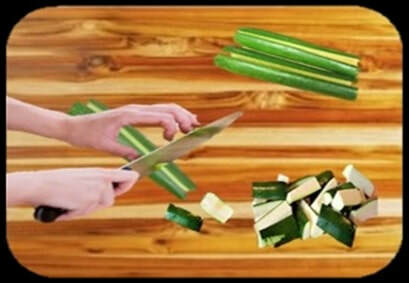 It is a bright green vegetable having white pulp with white seeds embedded in spongy flesh. Turai’s are best when they are young about 6 to 8 inches long and about 2 inches in diameter. 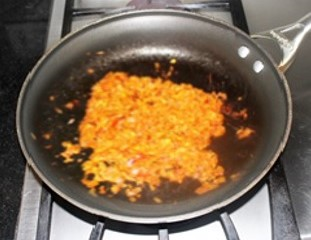 Masala Turai is cooked with skin so when making this dish always remember to buy firm and tender, Turai as matured ones might be fibrous and bitter. 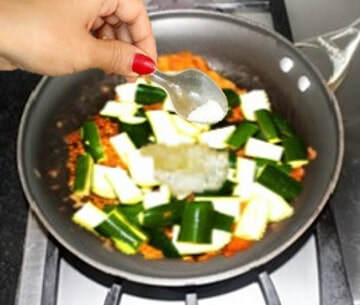 If you are tired of eating plain boring Turai then try this recipe, this is a spicy tasty dish. 1. 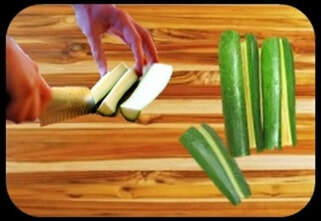 Wash theTurai's (zucchinis) and chop off the top and bottom tip. 3. 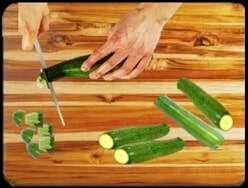 If the Turai's are thick then cut the lengthwise halves in half again lengthwise. 6 to 7 minutes or until they become light brown. 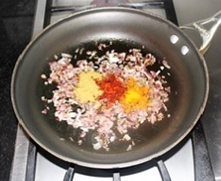 spices with the onions and fry them for few seconds. 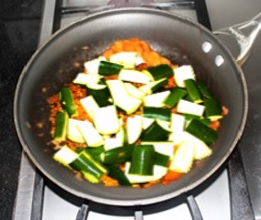 cook on their own steam. 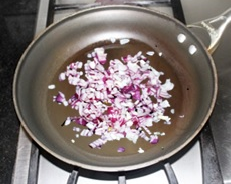 (fried onion tomato mix ) coats them all the time. 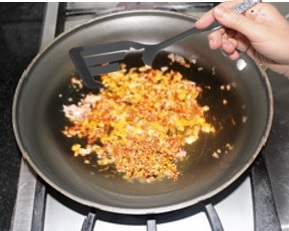 fry them for about 5 to 6 minutes and keep turning them around frequently. 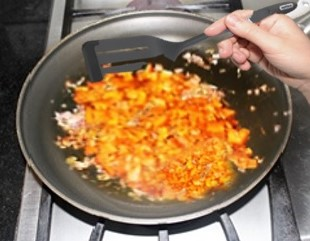 stove off. 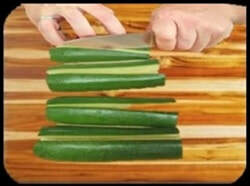 Turai pieces should not be mushy, they should stay firm.